Complete with Printer & 2.0m long flat bed conveyor. This unit is ideal for efficient heat sealing of light to medium weight plastic bags. A reliable and affordable solution to sealing plastic bags filled with salt, rice, beans, seed and any other granular material – fast and continuously. 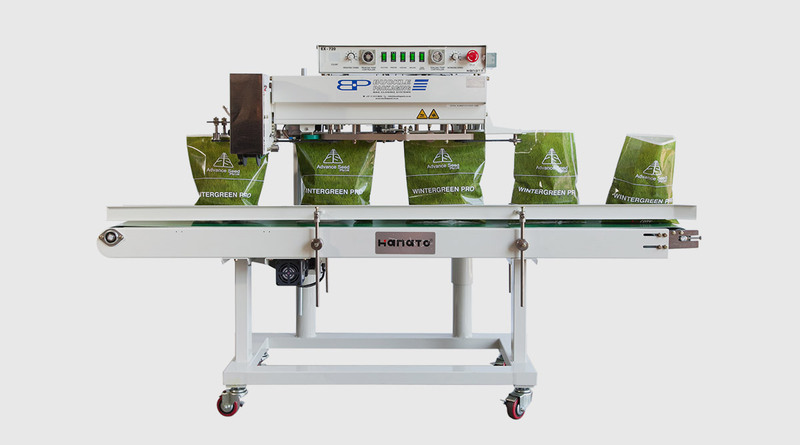 The unit is height adjustable for different bag sizes, has variable speed control, a bag counter and a hot foil printer for batch / date coding as standard. 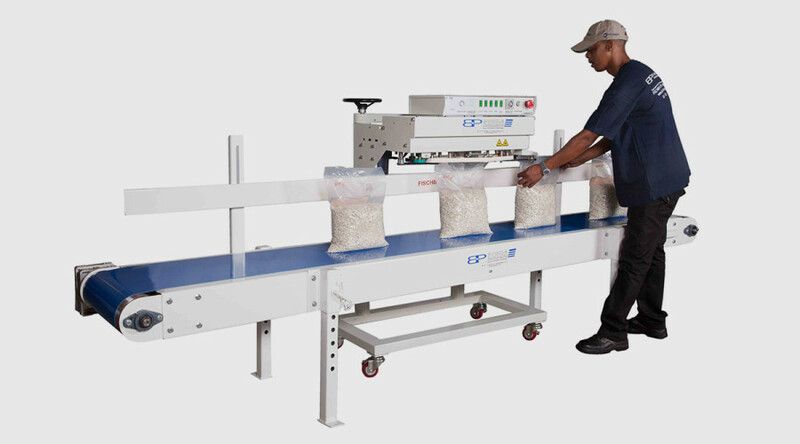 Unit is ideal for efficient heat sealing of light to medium weight plastic bags. 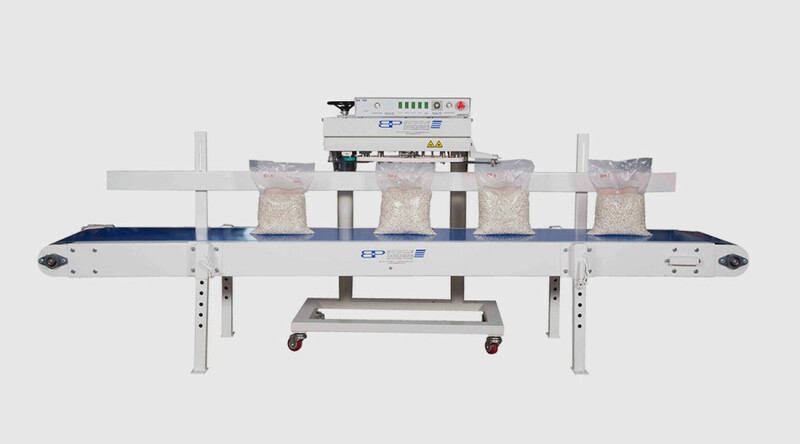 A reliable and affordable solution to sealing plastic bags filled with salt, rice, beans, seed and any other granular material – fast and continuously. 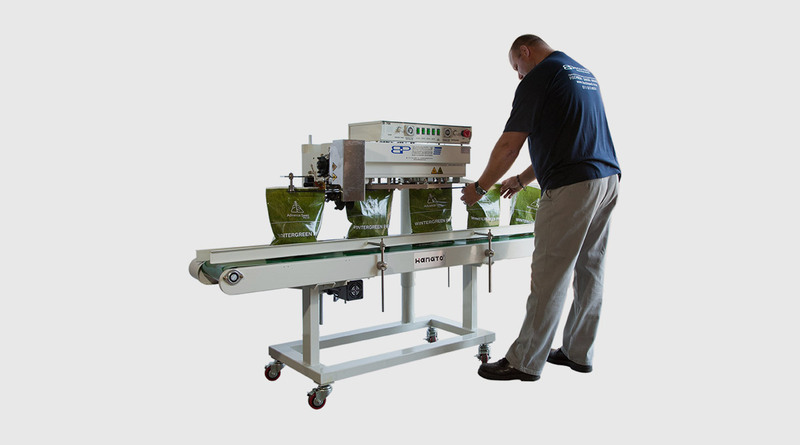 The unit is height adjustable for different bag sizes, has variable speed control, a bag counter and a hot foil printer for batch / date coding as standard.